President Philippe Li of FKCCI (French Chamber of Commerce and Industry in Korea) delivered a special speech at the "21st Century Business Forum" held in Kyobo Building in Gwanghwamun downtown Seoul on Nov. 21, 2005. Li serves as the chairman of France and Korea Chamber of Commerce and Industry (FKCCI). The forum was held at a restaurant on the second floor of the building at 7 p.m. on the day. Scores of business people were invited at the forum including President Kim Kyong-Hae of Communications Korea. At the forum FKCCI President Li deliver a speech on "understanding cultural difference between Korean and France and promoting bilateral trade." 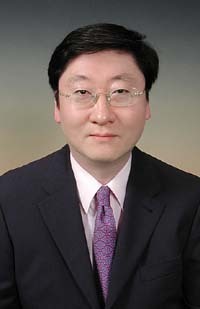 The forum was presided by lawyer Lee Seok-Yeon, co-chariman of the 21st Century Business Forum. Numerous French multinational companies are present on the market (Renault, Total, L'Oreal, Lafarge, Thales ...) and Carrefour is the 1st foreign investor in Korea, investing over USD 1.3 billion. work together for the French and Korean markets (large but compact markets). form alliances for the Chinese market. Their respective resources can be efficiently assembled together. Example of Hanglas and Samsung Atofina. Accor Group: 1010 hotels in France. 1300 hotels in other countries.